Step off the beaten path and head to Punta Rata Beach and Brela Beach. And it doesn't end there: delve into the distant past at Diocletian's Palace, steep yourself in history at Old Split, don't miss a visit to The Peristyle of Diocletian's Palace, and take in the awesome beauty at Marjan. To find photos, ratings, and other tourist information, read Split trip generator. London, UK to Split is an approximately 6.5-hour flight. You can also drive; or take a bus. The time zone changes from Greenwich Mean Time (GMT) to Central European Time (CET), which is usually a 1 hour difference. Traveling from London in August, things will get somewhat warmer in Split: highs are around 36°C and lows about 23°C. 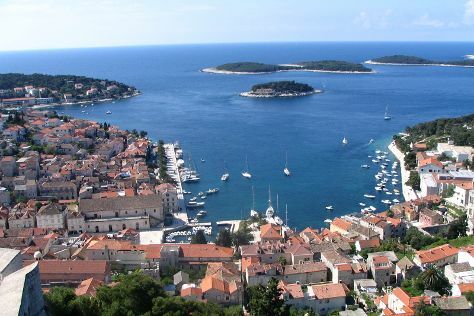 Finish up your sightseeing early on the 6th (Sun) so you can catch the ferry to Hvar. Take a break from the city and head to Dubovica and Zavala. Next up on the itinerary: head off the coast to Pakleni Otoci, contemplate the long history of Spanjola, admire the striking features of Franciscan Monastery, and contemplate in the serene atmosphere at St. Stephen's Cathedral. 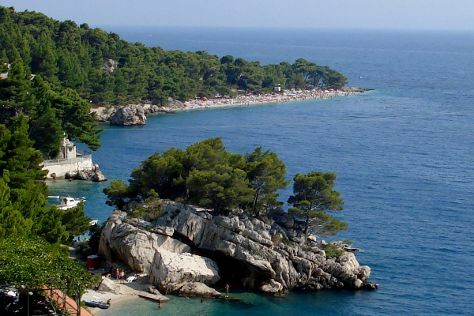 To find where to stay, reviews, other places to visit, and more tourist information, read Hvar travel itinerary planner. Traveling by ferry from Split to Hvar takes 2 hours. When traveling from Split in August, plan for little chillier days and about the same nights in Hvar: temperatures range from 32°C by day to 26°C at night. Wrap up your sightseeing on the 10th (Thu) to allow time to travel to Dubrovnik. Explore hidden gems such as Gornji Ugao Tower and Franjo Tudman Bridge. Step out of the city life by going to Island of Lokrum and Kayaking & Canoeing. There's lots more to do: delve into the distant past at Gradske Zidine, make a trip to Pile Gate, steep yourself in history at Stradun, and take a stroll through Old Town. To see traveler tips, where to stay, other places to visit, and other tourist information, use the Dubrovnik trip generator. You can ride a ferry from Hvar to Dubrovnik in 4 hours. Alternatively, you can drive. In August, daytime highs in Dubrovnik are 34°C, while nighttime lows are 24°C. Finish your sightseeing early on the 12th (Sat) so you can travel back home.